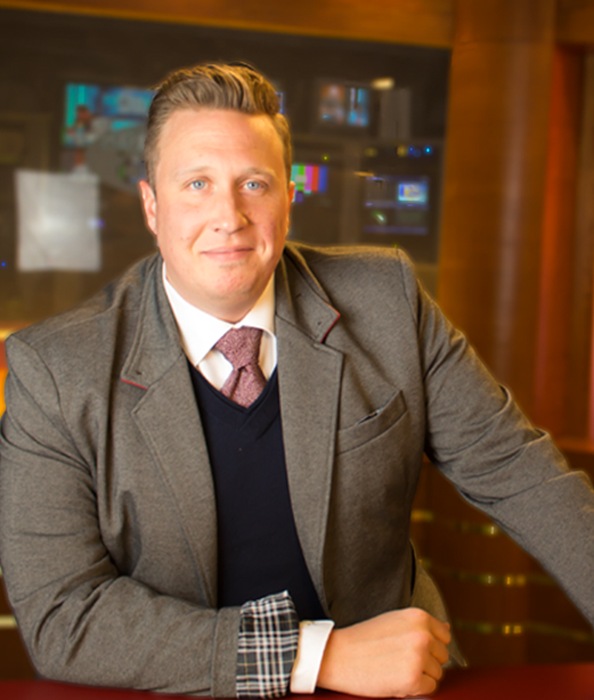 A native of Sioux City, Iowa, Jake began his broadcast career as a DJ and Station Manager for KSTO Radio while studying history and political science at St. Olaf College in Northfield, Minnesota. After returning to his hometown, he joined the staff of Siouxland Public Media (née KWIT/KOJI FM90), the local NPR member station, as an on air host and producer. Specializing in jazz and music of the big band era, Jake became a staple of the tri-state airwaves for over a decade with programs such as The Jazz Standard and Swingtime. Inspired by the informative, thought provoking journalism and storytelling the station featured daily from both local and national sources, it was during this time that he began developing interest in the news side of a media career. Jake moved to Rapid City and joined the NewsCenter1 team in 2014 as a master control operator, while also lending support to the newsroom during the wee morning hours. In 2015 he was given the reins of NewsCenter1 TODAY, and now serves as the news department’s executive producer. While he swears that this is not merely a “daytime gig”, Jake is an active musician, performing with a number of groups throughout the Black Hills. He is a trained bassoonist(! ), though most of his time is spent wrestling with the upright bass in jazz and bluegrass settings. He sings and plays guitar just well enough to be annoying at parties. He will also participate in endless conversations about music, but may overstate the size of his…record collection. He is a fan of Iowa Hawkeye football by birth, and a supporter of Tottenham Hotspur Football Club. Only his mother calls him Jacob.